← My Favourite Fall/Winter Face Masks! There are only 44 days until Christmas and I’m getting more excited every day! People in my neighbourhood have started putting up their lights, and all the stores and cafes have decorated for the holidays, and I just love it! As I’m sure most of you know, LUSH brought out their Christmas collection a few weeks ago, and I promised myself I would wait until after Halloween to go in and purchase anything. Keeping my promise, I went in last week and picked up a few things, I wanted to go CRAZY because its just so festive, but I restrained and only bought 5 products. I decided I wanted to pick things that were new, or that I’d never had before, but I’m sure once I use these 5 I’ll head back to LUSH to grab some of my Christmas favourites. 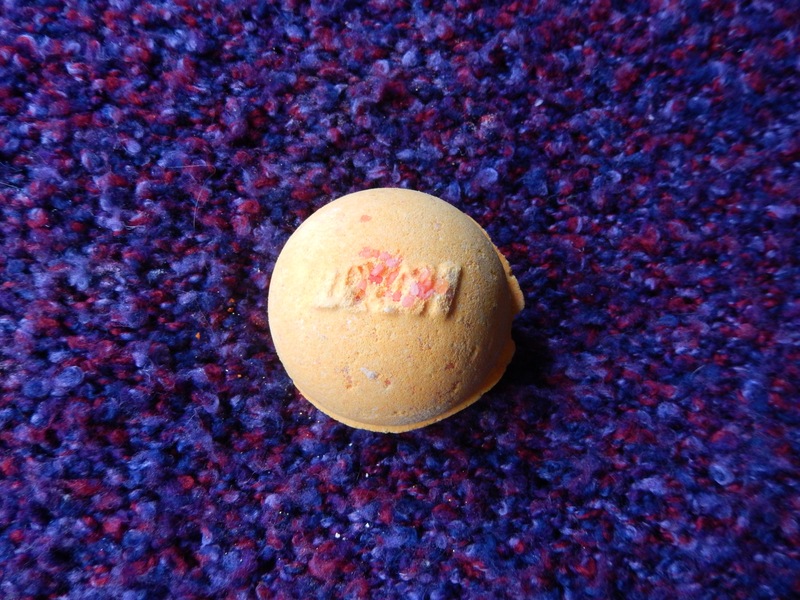 First I picked up the Stardust bath bomb ($5.25). 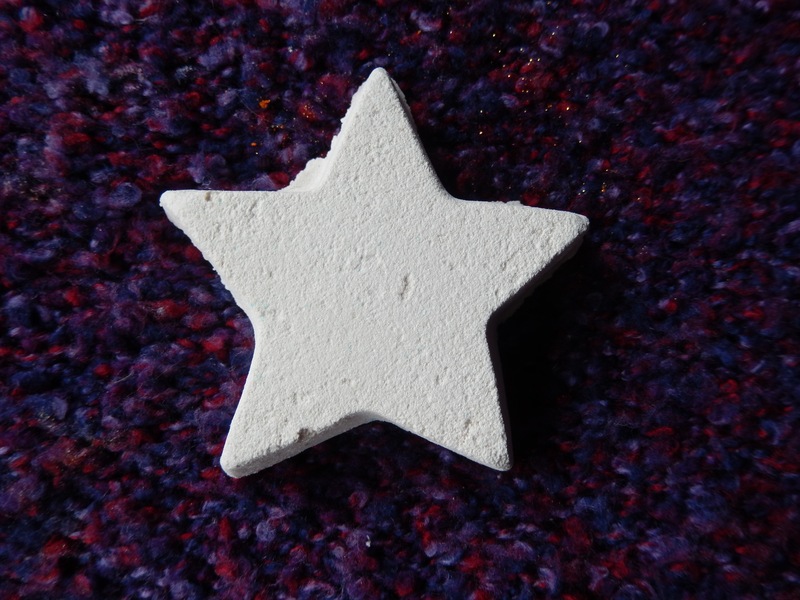 This one doesn’t look very exciting, but the girl in the store assures me that once you pop this in the bath something magical happens, and honestly I just love stars so I wouldn’t have minded if it didn’t do anything fancy. This one smells like vanilla and a little bit floral as it has bergamot in it – I find the scent of this really soothing and relaxing, great for an evening bath when you just want to chill out. Next I grabbed Cinders bath bomb ($4.95). Surprisingly enough I’ve never had this little guy, but I’ve heard great things about it! It has little popping candies in it which is so fun, and it smells warm and spicy which is a nice change from some of the sweet holiday scents. It has cinnamon and orange oils in it which create the perfect festive bath – It really reminds me of the smell of some holiday candles, which you could light while you have a bath with Cinders, and your bathroom will smell incredible and Christmasy! 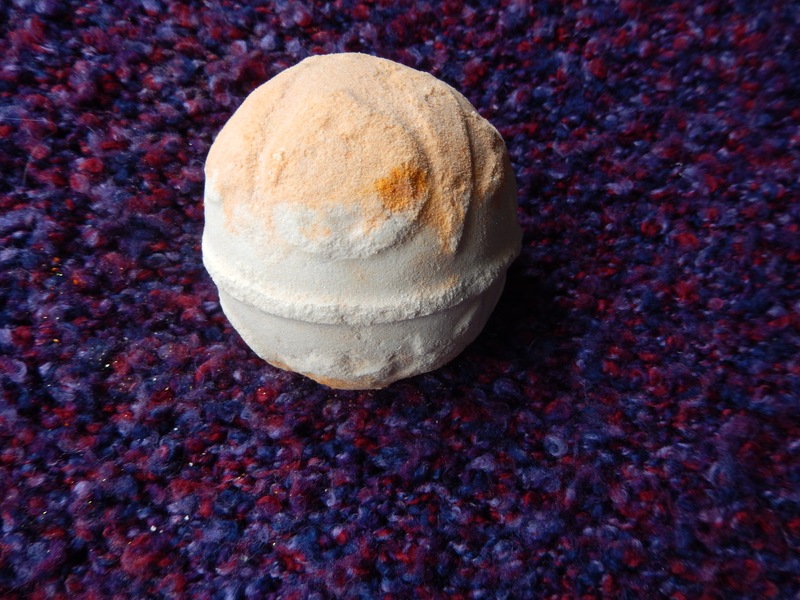 The Experimenter bath bomb ($8.95) isn’t specifically Christmas, but it is new to LUSH. 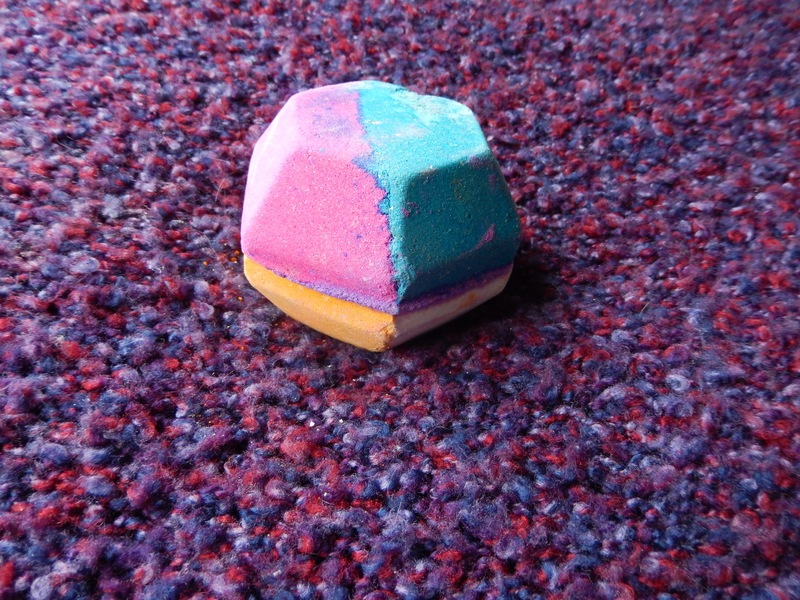 This massive bath bomb is made of all different colours and is meant to make your bath psychedelic and colourful. This baby also has popping candies in it to add to the experience, and it smells of vanilla and candies. It’s a very sweet smell, but also quite fresh. I’m very excited to give this one a whirl! The Yog Nog bath bomb ($6.95) called my name because it smells like toffee, super sugary and warm, I absolutely couldn’t resist it. It’s embossed with cute little pictures of christmas trees and ornaments which add a nice little festive touch. I’m definitely going to pop this in the bath on a night where I want to cuddle up with some cookies and a cup of tea after my bath and watch a Christmas movie! Last I had to grab the new Magic Of Christmas re-usable bubble bar ($9.95). 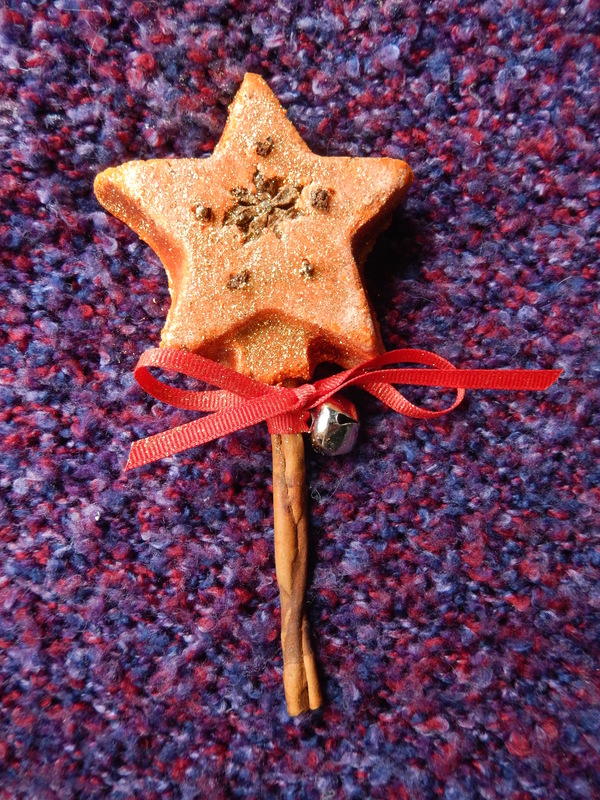 This honestly does look magical, it’s all covered with gold glitter and held on a cinnamon stick! and the little red bow with the bell just adds the cutest christmasy touch! This smells similar to Cinders as it’s quite spicy with cinnamon and clove oils, but also very warm with almond oil. I’m going to use this one closer to Christmas so I can really get into the spirit, and I’ll definitely be using it on Christmas eve to pump myself up for the best day of the year!!!! I don’t think I’ll be posting next week, because Carmen and I are taking a little vacation and heading to Orlando to visit the Wizarding World of Harry Potter and Disney! Thanks! Christmas time is my favourite time of the year! I’m really looking forward to the trip, I’ll definitely write a post about it. The Magic Of Christmas re-usable bubble bar may be the cutest thing I’ve ever seen.